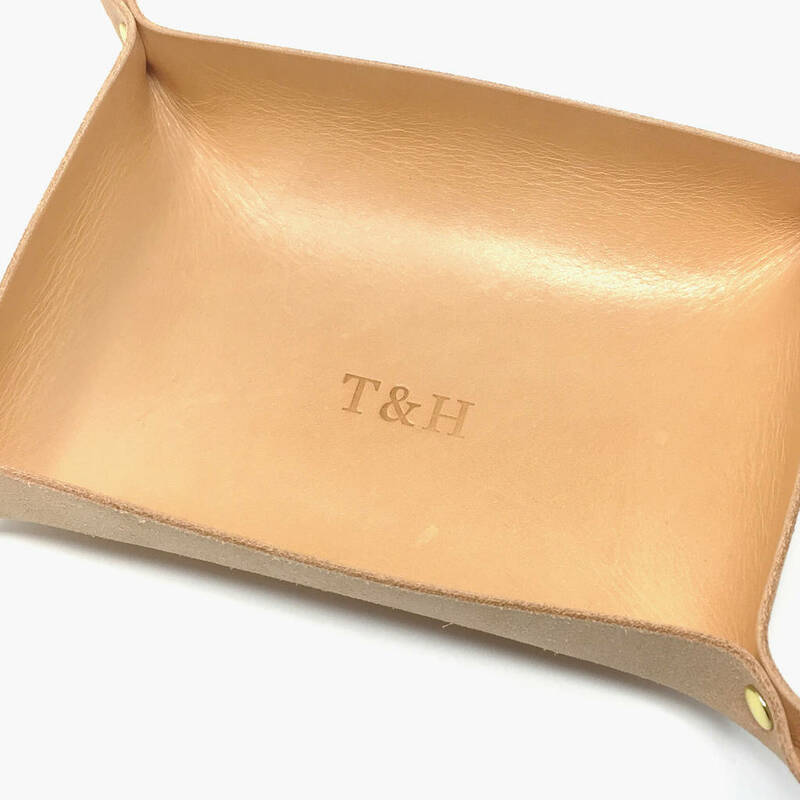 A beautiful handmade leather jewellery tray that can be personaised for that special touch. This simple, beautifiul leather jewellery tray makes for a lovely original gift and is bound to put a smaile on someoen's face. Made from a single piece of leather, carefully folded and held in shape by four brass rivets. 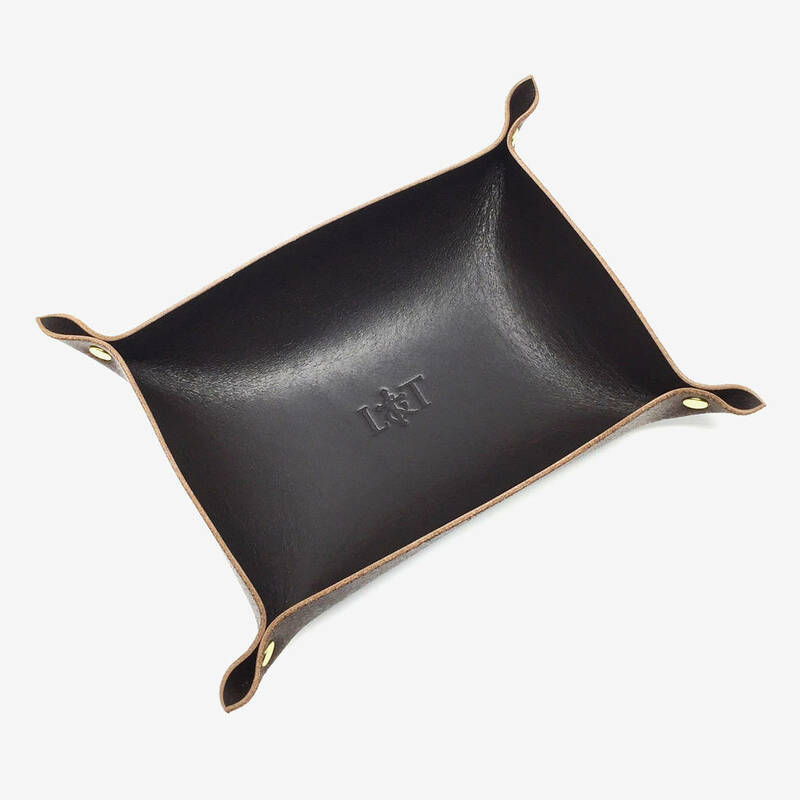 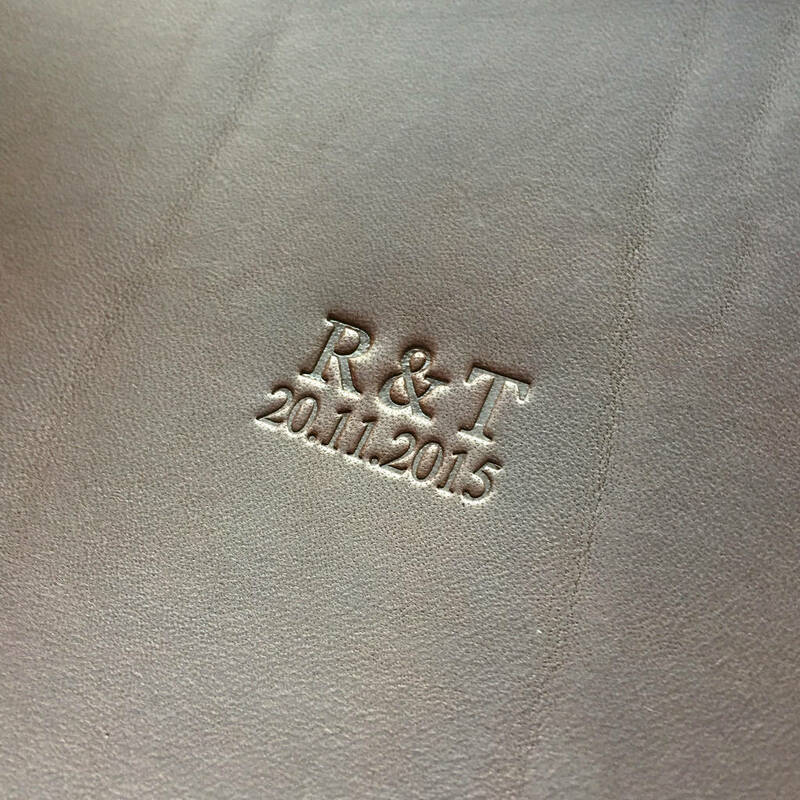 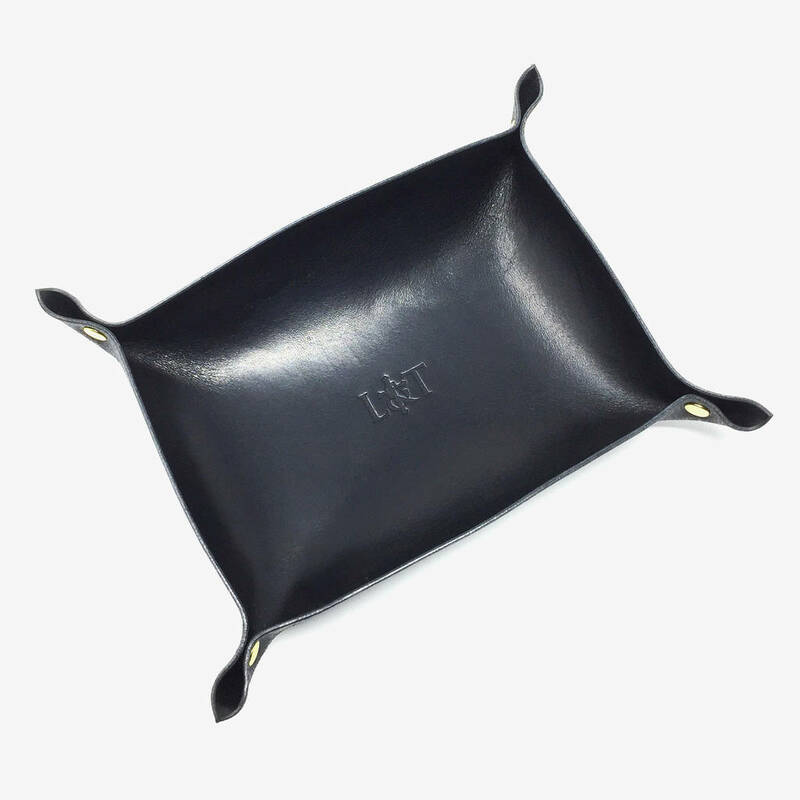 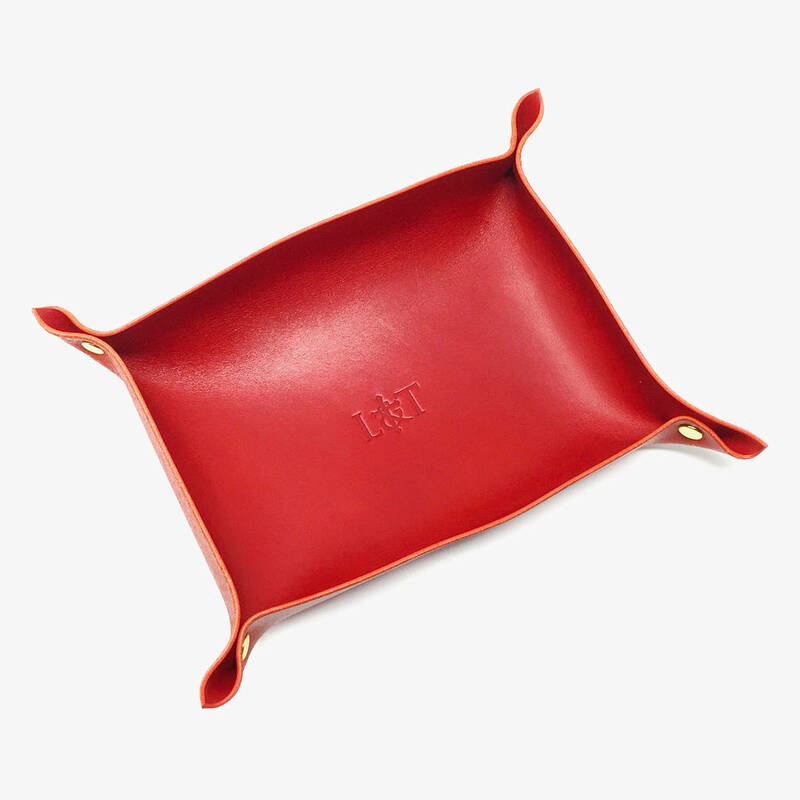 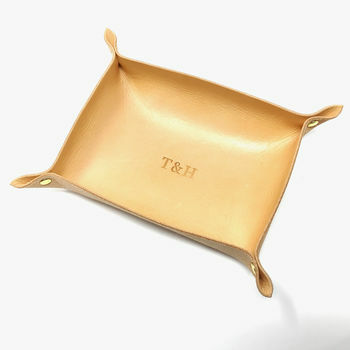 Our leather jewellery trays come in a branded 100% recycled natural card gift box. 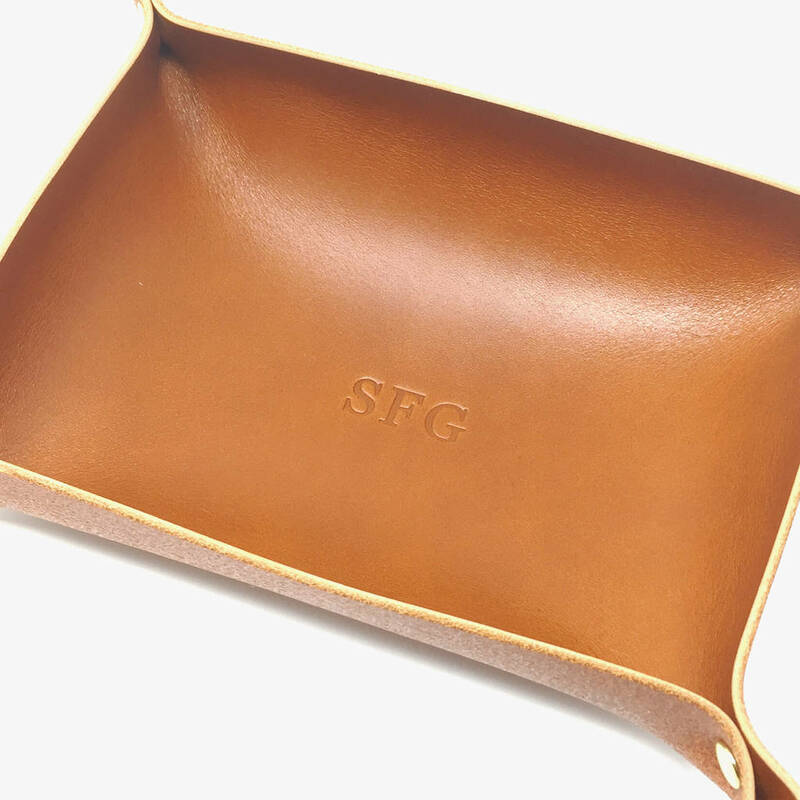 17cm x 12.5cm x 3cm.